Here’s my current description of an upcoming workshop on sustainable variety. I’m thinking of calling it the Get More Sustainable Variety Workshop. I’ll let you know when things are more finalized and you can sign up! You may share a situation with some friends, family, co-workers, neighbors or others. Your shared situation is whatever your group is dealing with or considering. With smartphones, we have new possibilities. This hands-on workshop will show you how to combine the Quip mobile app and the sustainable proximities approach, helping you collaborate better to improve shared situations. Doing so can lead to greater sustainable variety, since keeping the proximity alive is boosted by variety. Not only that, this approach gives people chances to relate to the proximity in a wider variety of ways. We’ll use examples most people can adapt to their own lives, and collaborate on some real world situations too. You’ll try things and can ask questions as we go. If you can’t join us in person, you can join us online! 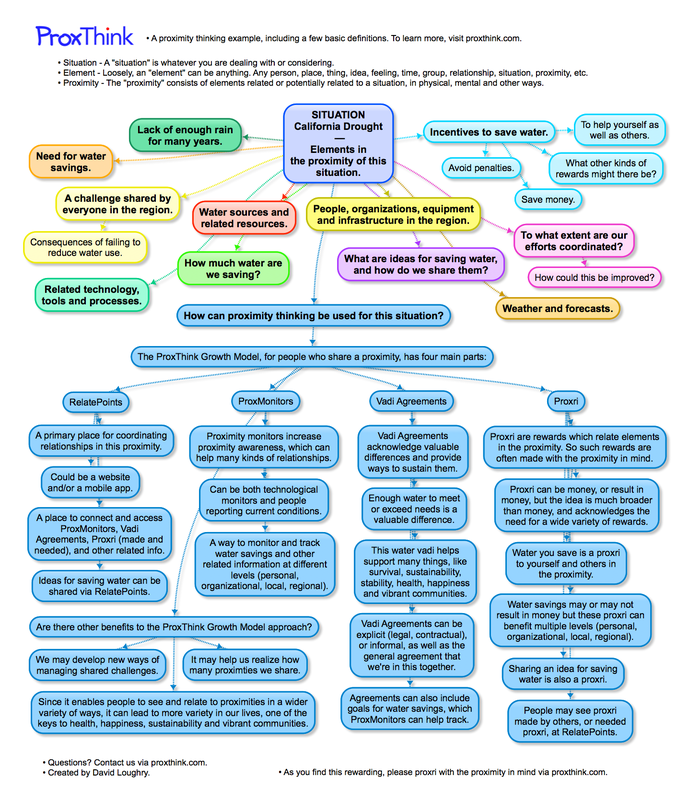 Public Collaboration: What are some elements in the proximity of climate change? As part of our Let’s ProxThink Hangouts On Air, let’s think about climate change. 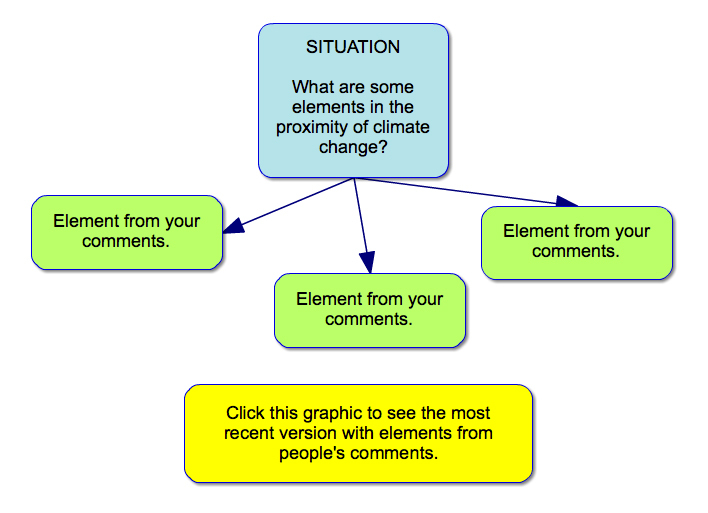 You can comment here with elements you think are in the proximity of climate change. I’ll define proximity and two other terms below. I’ll add some of your elements to the mind map above. You can click on it to see a larger version. Then we can discuss it in future Hangouts On Air. Remember, by participating, you might get proxri as part of our collaboration deal. A situation is whatever you are dealing with or considering. In this case, our situation is climate change. Loosely, an element can be anything. Any person, place, thing, idea, feeling, time, group, relationship, situation, proximity, etc. 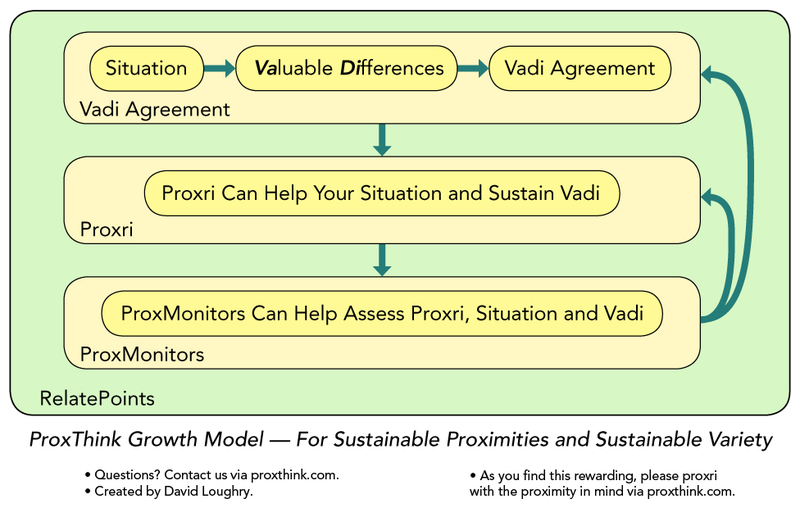 The proximity consists of elements related or potentially related to a situation, in physical, mental and other ways. Putting the terms together with our situation, elements in this proximity could be people, places, things, ideas, feelings, times, groups, relationships, situations, and proximities that are related or potentially related to climate change. So, what are some elements in the proximity of climate change? Please add your comments below. Thanks and check our upcoming events page and/or follow ProxThink for announcements about upcoming Hangouts On Air, when we may work on this climate change collaboration! And remember, by participating, you might get proxri as part of our collaboration deal.